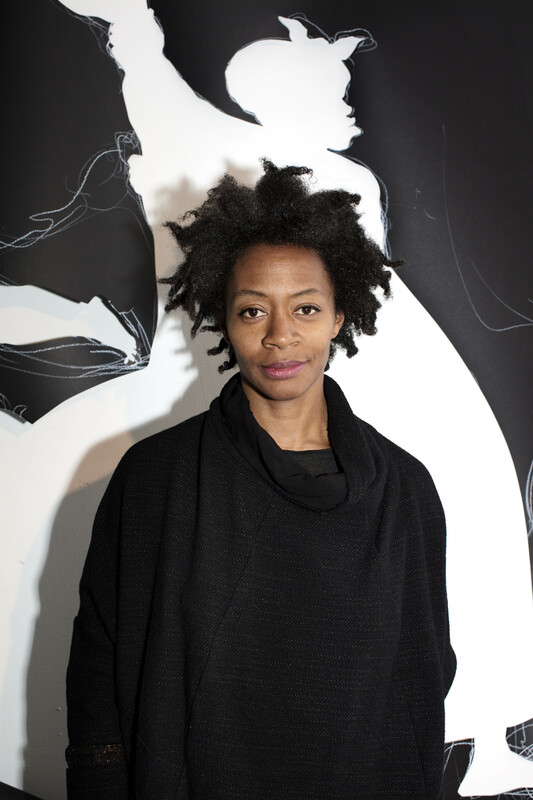 New York-based artist Kara Walker is perhaps best known for her use of black cut-paper silhouetted figures, often referencing the history of slavery and the antebellum South in the US through provocative and elaborate installations. Her works have featured prominently in exhibitions around the world since the mid-1990s. Her first large-scale public commission opened in the derelict Domino Sugar Refinery in Brooklyn in 2014 and powerfully addressed the history of sugar production. Over 10 metres high and 23 metres long, A Subtlety was a monumental sculpture of a sphinx-like figure, covered in sugar and surrounded by smaller figures made of toffee, brown sugar and molasses. She has since designed and directed a production of Vincenzo Bellini’s Norma for the 56th Venice Biennale in 2015, and most recently she created The Katastwóf Karavan 2017, a musical installation as part of the Prospect.4 triennial in New Orleans. Taking the form of a calliope (a steam-powered organ) set inside a steel wagon and encircled by silhouetted figures, the work was used in a series of live performances as well as programmed to play songs related to African-American experience. Since Tate Modern opened in 2000, the Turbine Hall has hosted some of the world’s most memorable and acclaimed works of contemporary art, reaching an audience of millions each year. The way artists have interpreted this vast industrial space has revolutionised public perceptions of contemporary art in the twenty-first century. The annual Hyundai Commission gives artists an opportunity to create new work for this unique context. The commissions are made possible by the long-term partnership between Tate and Hyundai Motor, confirmed until 2025 as part of the longest initial commitment from a corporate sponsor in Tate’s history.